The immune system constitutes the body’s defense against pathogenic microorganisms (bacteria, virus, parasites, and fungi). The innate immune system provides early defense and induces an adaptive response to clear the foreign invaders and establish long-term immunological memory. One of the greatest successes in public health is the reduction in the prevalence and incidence of infectious diseases through the use of vaccines. Vaccines “simulate” a natural infection in order to “prime” the immune system so that exposure to the antigen results in a fast and efficient immune response. ImmuneCarta has extensive experience studying the immune response to viruses, including Influenza, HIV, HCV, CMV and EBV. 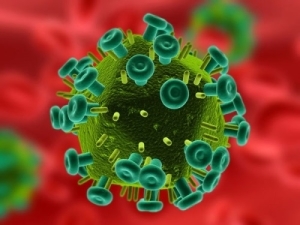 ImmuneCarta has experience in HIV viral latency studies and develops customized assays to determine whether latently infected cells can be reactivated in vitro. Tuberculosis is a major global health burden, affecting an estimated 1/3 of the global population. There were 10.4M new cases diagnosed in 2015 and 1.8M deaths, and cases of drug resistant TB are on the rise. While only active disease is infectious, distinguishing active TB from other respiratory diseases is difficult, time-consuming, and often inaccurate. Diagnosis can include as many as 5 individual tests and require as long as 6 weeks. There is an unmet need for a test that can directly and accurately diagnose the presence of active TB, independently of host immunocompetence and without requiring a sputum sample. As part of the NIAID-funded Caprion Clinical Proteomics Center, Caprion Biosciences initiated studies to develop a blood-based test that can identify patients with active TB or those at risk of developing active TB. Caprion has identified small panels of protein biomarkers that can distinguish patients with active TB from patients with confounding respiratory diseases and healthy individuals (EBioMedicine)). Caprion has also identified blood-based candidate protein biomarkers of early TB disease progression that appear to predict establishment of latent infection (LTBI). (EBioMedicine). In this new 2017 biomarker discovery study, Caprion’s bioinformatic analysis determined multiple biomarker signatures correlating with subsequent development of an immune response recognizing Mtb. These biomarker signatures may demonstrate individuals recently infected by Mtb at high risk for developing active tuberculosis (TB). LTBI is a state of persistent immune response resulting from Mtb infection but without evidence of clinically active TB. Current immune-based tests for Mtb infection (LTBI) cannot distinguish recent from remote Mtb infection. Individuals with recent Mtb infection are at highest risk for developing disease, i.e. TB. Identification of Host Proteins Predictive of Early Stage Mycobacterium tuberculosis Infection. EBIOMedicine. 21 (Jun 2017), 150-157. Host Protein Biomarkers Identify Active Tuberculosis in HIV Uninfected and Co-infected Individuals. EBioMedicine. 2(9) (Sep 2015), 1160–1168.